Maine birds are doing OK this fall, but there are still problems affecting the health and success of birds worldwide. 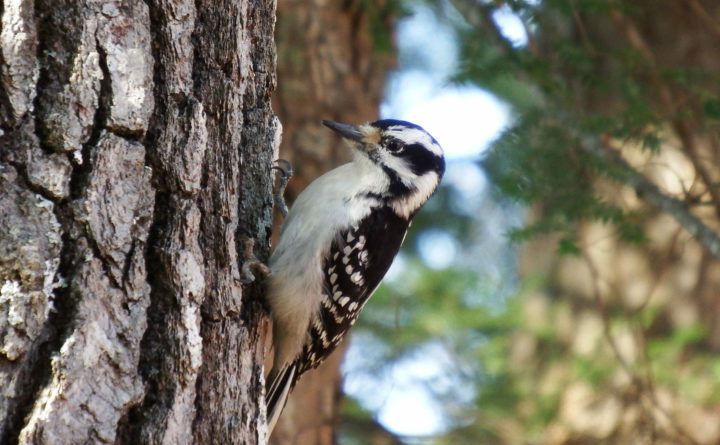 Several issues affecting the health of bird species, such as climate change, can seem overwhelming or too difficult for one person to address, but experts say people in Maine can take steps to make life better for our wild birds. — Buying shade-grown coffee. “It’s often described as the most impactful thing you can do for bird habitat,” he said. “Yes, it’s a little more expensive, but it saves birds.” Growing coffee in the shade requires little to no chemical fertilizers or pesticides and leaves the trees in place that provide birds with habitat. After the introduction of sun-loving hybrid coffee varieties in the 1970s and the ensuing habitat destruction, birds — including migratory songbirds — paid a steep price. The loss of shade trees on coffee plantations in Central and South America have led to a big decline in migratory bird populations. — Keeping cats indoors. A study released by the American Bird Conservancy in 2014 showed that predation by domestic cats is the number one human-caused direct threats to birds in the U.S. and Canada. In the U.S. alone, approximately 2.4 billion birds are killed each year by outdoor cats. “Which is crazy,” Hitchcox said. “It’s not the cats’ fault. They are following their instincts to kill. The responsibility falls on the pet owner to keep a domesticated animal indoors.” He said that putting a bell on Fluffy’s collar won’t help, because cats wearing bells can still successfully stalk and kill birds. A product called the CatBib does work by interfering with a cat’s ability to stealthily lunge and pounce on a bird, but many cat owners feel it makes their pets look “ridiculous” and do not want to use the bib, Hitchcox said. — Reducing bird-window collisions. Birds striking buildings and windows are the No. 2 human-related cause of bird deaths, Hitchcox said. Marking the outside of windows with tempera paint, soap, decals, stickers, a special product called BirdTape or other things can reduce bird strikes, as can covering the glass with netting or one-way transparent film. — Planting more native species. “Without native plants on the landscape we’re not going to see future generations of birds,” Hitchcox said. “It’s a nice, pretty basic thing people can do.” Instead of choosing a cultivated plant or flower for your yard, look to Maine natives, which provide a better food source for birds.